The Best Games for Preschoolers. Here is a fun list of games that will teach your kids things, be hours of fun, or simply get them moving! 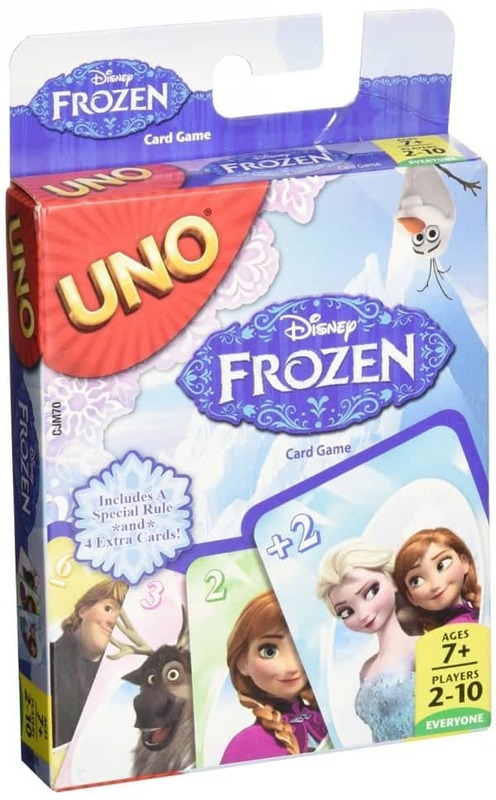 New games and classic games alike, just because they are little doesn’t mean you can’t have a fun family game night! 1. 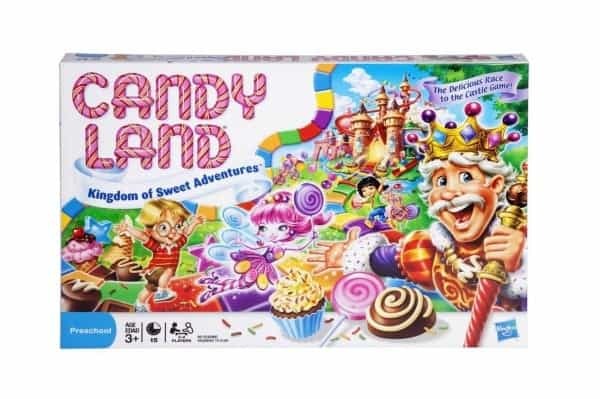 Don’t we all remember playing Candy Land as kids? It is still as adorable and fun as ever! The bright colors and cute concept are sure to please even a 3 year old. Since there are no numbers, and you move by color it is perfect even for the youngest kids to be able to play! 2. 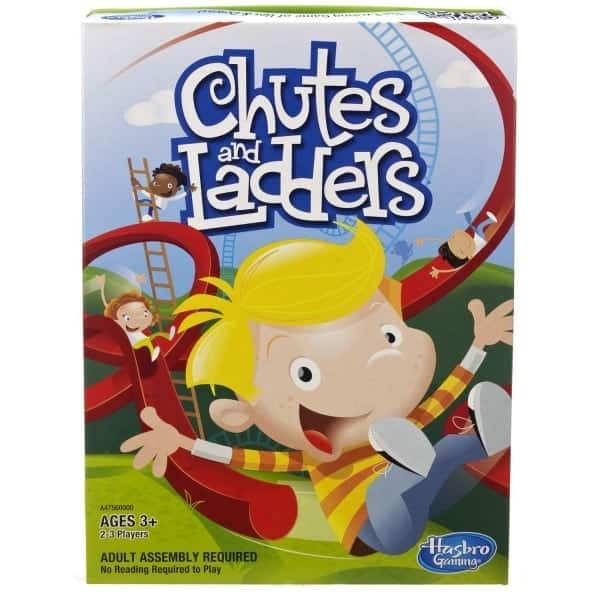 My kids adore Chutes and Ladders and the concept is easy for even kids as young 3 to figure out! My son (5 years old) can play this game with very little help, and my daughter loves to count her spaces but does need a little guidance on which way to move her piece. Perfect for practicing numbers and counting and lots of fun! 3. UNO is great for teaching so many different concepts to little ones. Colors, numbers, and turn taking being just a few. 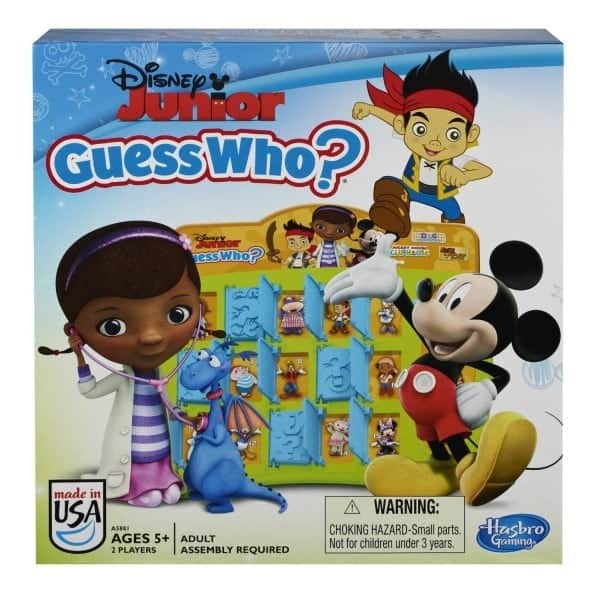 This game will really start to click with your child around age 5 or 6. 4. 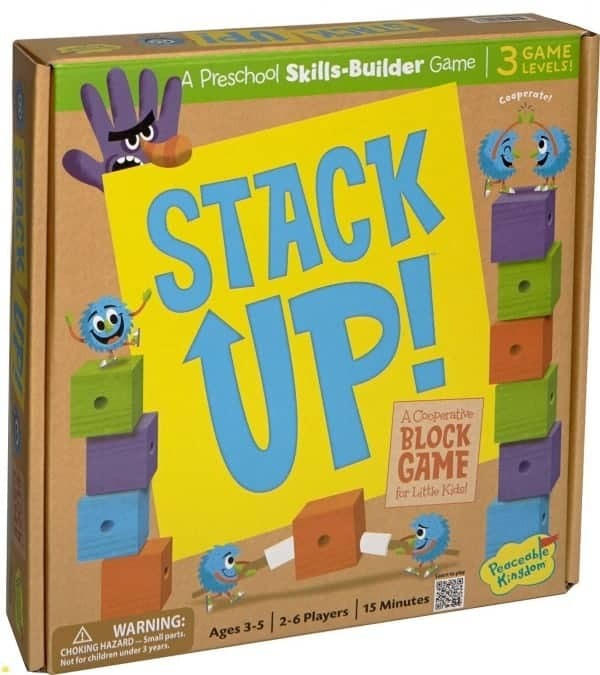 Stack Up is a cute game that works on hand eye coordination, colors, counting, and much more! Plus there is destruction at the end, what is not to love! 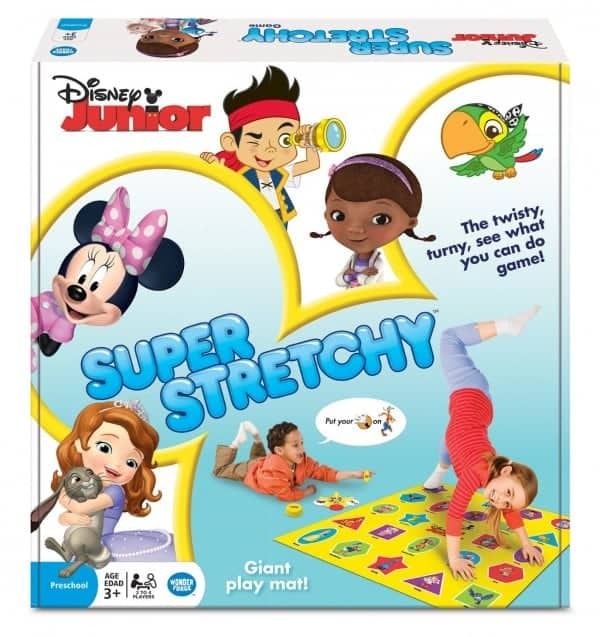 The different levels of play make this game great for kids ages 3-5. 5. 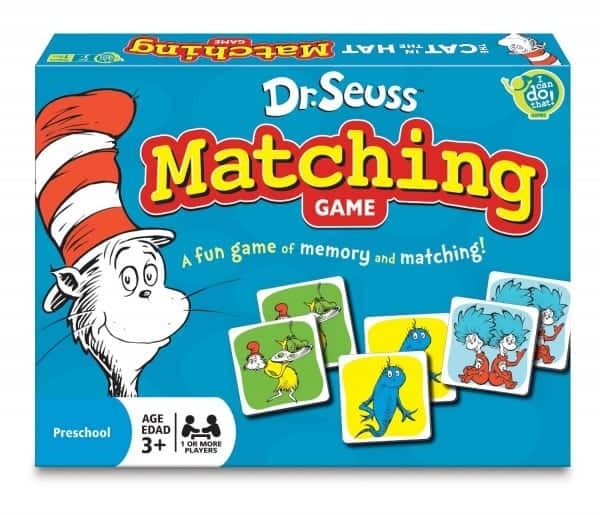 This Dr Seuss Memory game has all your favorite characters from the Dr Seuss books and the fun illustrations will keep the little ones engaged and interested. Use only a few cards and even a 3 year old can participate in this one. 6. 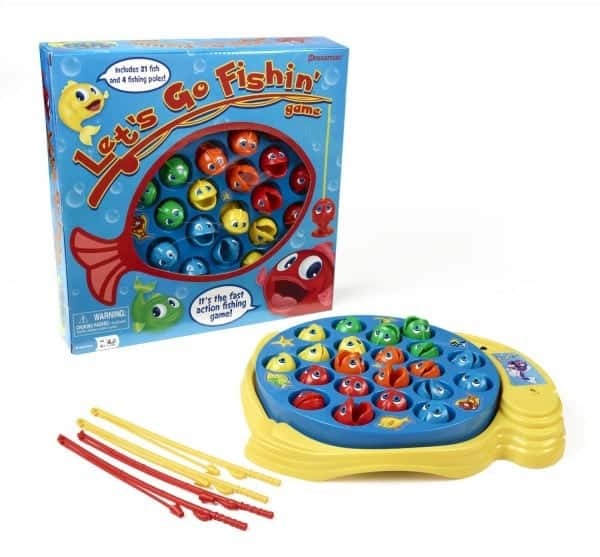 The Fishing Game is a kid favorite! I have seen my kids (ages 3 and 5) circled around this game many, many, times and each time a friend comes over it is one of the first games they go for! 7. Can kids ever start learning math skills too early? Kids aged 3-6 are perfect for this game. 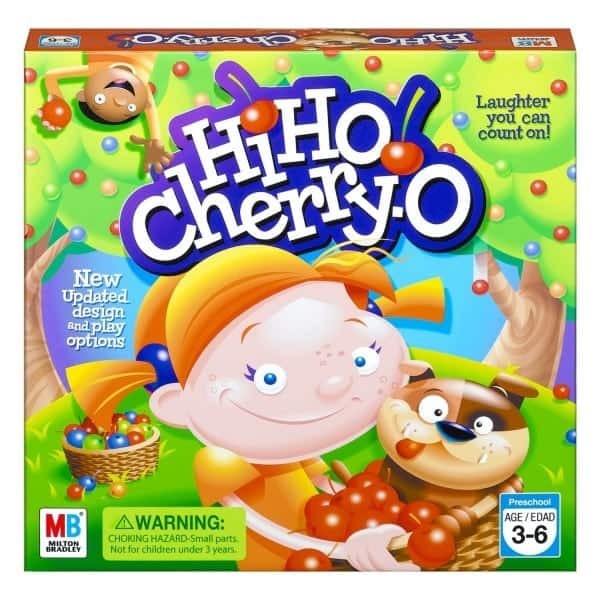 This Hi Ho Cherry O game is fun and teaches them basic math without them realizing! A favorite for mom-o and kiddy-o! 8. The Spot It franchise has so many different editions. My kids love this alphabet version as well as the travel version! With so many unique images even my 3 year old loves this game! 9. 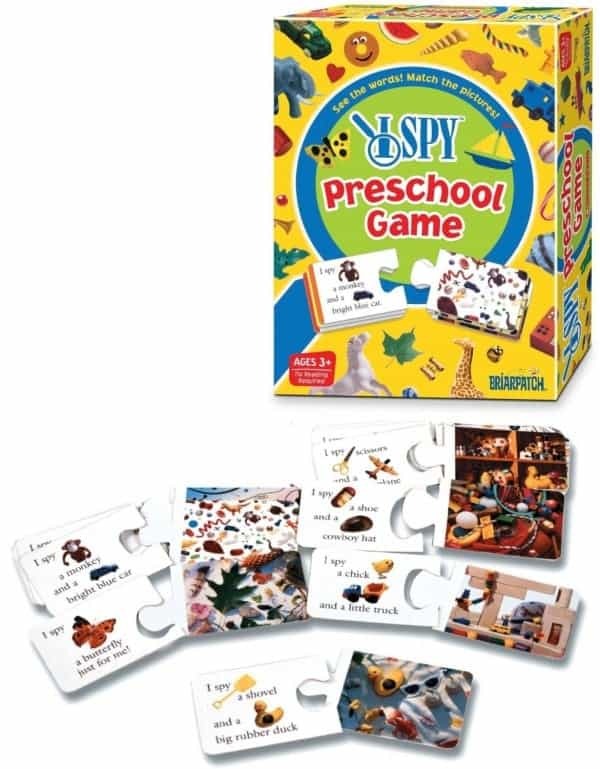 I Spy or as my 3 year old calls it “I Pie” is one of my little guys favorite games! We have played it so many times he has memorized nearly every card!! 10. My oldest, who is 5, has loved Guess Who for years! There are so many learning opportunities hidden in this gem of a game, and don’t forget to follow the link on the box to download and print even more fun cards to play with! 11. 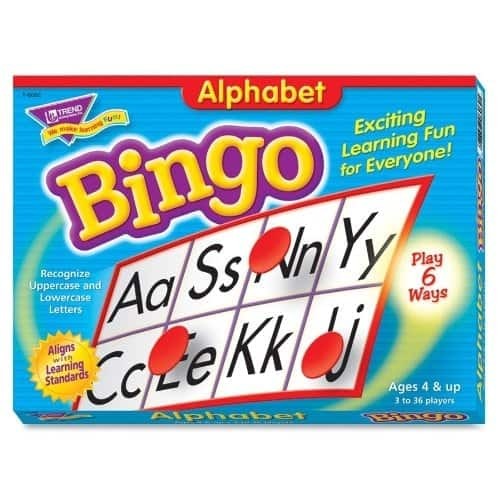 Bingo is an oldie but a goodie! Any game that has stood the test of time like this one obviously has a lot going for it! Even 4 year olds have the skills necessary to match the tiles on this game. 12. I think we can all agree that a game that gets your kids moving is a definite winner! Twister is another game that has been around since the beginning of time but it is still as amazing as it ever was! With a little help I would venture that even a little one as young as two could make a go at this game! We have had a lot of fun over the years learning colors with the littlest kids in our house while we play Twister! 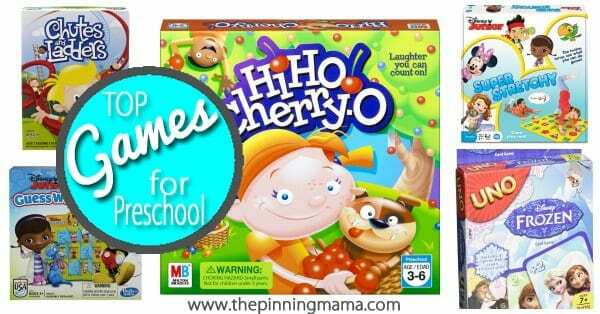 I hope you and your preschooler have an amazing time playing these games together! Nothing is more special than quality time with your little one! What games do you enjoy playing with your preschooler? Let me know in the comments! This is such a helpful list! I’m always overwhelmed when shopping on the game aisle, so any new ideas are welcome! We love Candy Land and Chutes and Ladders, so I bet the others would be winners as well. Awesome! Love your round up of board games and the way you’ve connected them to the skills they develop. Definitely inspiration for a new article on our site!